I'll be honest, I'm not a big user of in-flight Wi-Fi. The only experience where I've connected was on an Emirates A380. I paid $1USD for 500MB and I have to say it was pretty disappointing. It took me about an hour to send 2 or 3 messages and then an hour to receive the reply. As a result, I've been quite skeptical about the whole business on a personal level. Having said that, I'm also not ignorant and I realize that in-flight Wi-Fi, and connectivity overall, is a BIG deal. It's a big deal for many passengers, not only to help keep connected to family, friends and colleagues, but also to be able to watch content on a personal device. As people who work remotely and gather information on the go ourselves, we find it is becoming more important for us as we continue our journey of independence. After reading an article on Lufthansa's IFC capabilities on Airline Reporter, I decided to do some research and discuss the current state of in-flight Wi-fi across the globe. Many passengers want to keep contact with loved ones, as well as stream content on personal devices. 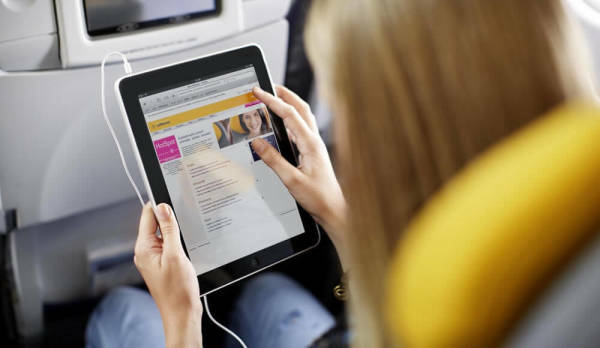 All the way back in 2003, Lufthansa became the first airline in the world to have broadband internet access in the air. Although it was discontinued in 2006, they once again were the first airline to offer it on intercontinental flights in 2010. 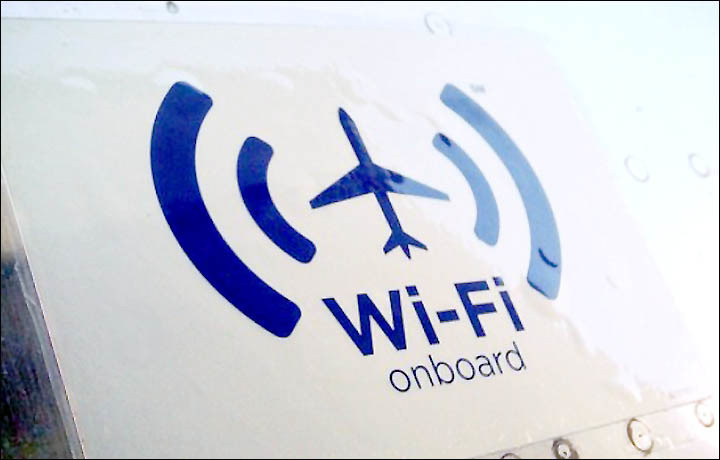 As of June 2015, practically all 107 of their long haul aircraft had Wi-Fi capability. More recently, Lufthansa announced that in coming years, it's rolling out in-flight Wi-Fi on their short and medium haul operations across Europe. That's a lot of planes and Lufthansa plans to equip them at a rate of about 8 a week! They've made it possible by partnering with Honeywell, who have developed cost-effective, efficient antenna technology. The actual provider of the service is Inmarsat via their Global Xpress network (Ka-band). A nice overview of various technologies US airlines utilize. More importantly, not only will Wi-Fi be more widely available, the company hopes to sustain speeds of up to 50MBPS. Higher reliability and faster speeds will encourage more users to shell out the cash to access the service. At the moment, Lufthansa's in-flight Wi-Fi costs €9/$10 for 1 hour, €14/$15.50 for 4 hours and €17/$19 for the entire flight. The latter option can be used for up to 24 hours if you have a connecting flight. By all accounts, the service has received good feedback and therefore offers pretty good value. In the meantime, Lufthansa continues to lead the rest of Europe in in-flight connectivity and the great news is that others are not far behind. There's a great article here from Airline Reporter if you want to know more about the technology Lufthansa is using. As of January this year, around 39% of flights have some sort of Wi-Fi. But if you broke that down to US based and non-US based, you'd find a huge discrepancy. Indeed, around 83% of flights operated by a US airliner had Wi-Fi availability, compared with around 18.5% for the rest of the world. Therefore, in despite Lufthansa's past and present efforts, the US is a world leader in terms of offering connectivity in the skies. The US has taken advantage of the IFC technology available and have run with it. It's worthy to note that most carriers charge passengers for the service. This suggests that Wi-Fi has been used as a revenue stream to enhance profitability, particularly on domestic economy fares. JetBlue is arguably the best provider of in-flight Wi-Fi in the world. Not only is it free, but JetBlue claim that all of their aircraft now offer high speed Wi-Fi, fast enough to stream movies and music. Other airlines such as Delta and Virgin America also have 100% of their fleet equipped with Wi-Fi. Most others have a broad range of connectivity with varying speeds. 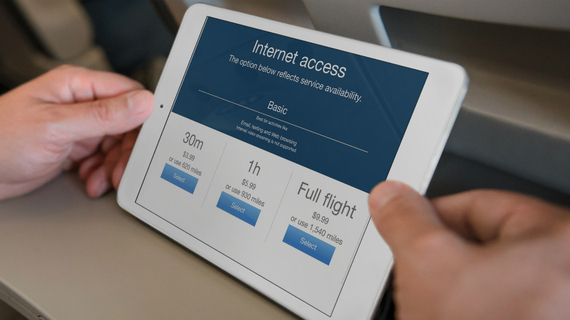 Many airlines are using Wi-Fi as a revenue stream. 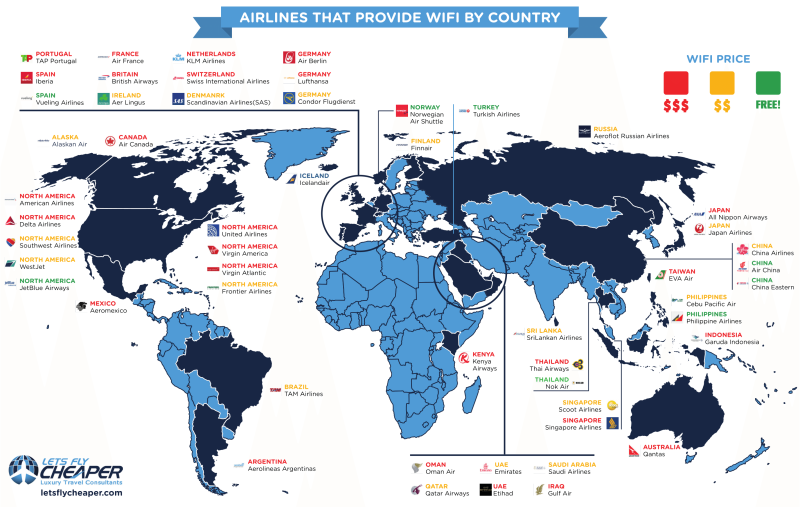 Indeed, there are around 70 airlines that have in-flight Wi-Fi and you can expect this list to grow. Travelers that work, those that want to keep in touch, and the passengers who prefer watching content on their own devices will be eagerly following as in-flight Wi-Fi becomes more accessible. Also, for a number of years now, airlines and passengers alike are beginning to feel IFE is becoming obsolete. Certainly, airlines could increasingly use in-flight Wi-Fi technology to provide general IFE, replacing entertainment boxes. Every year, ground-based technology, in combination with satellites, is providing faster, more reliable internet. 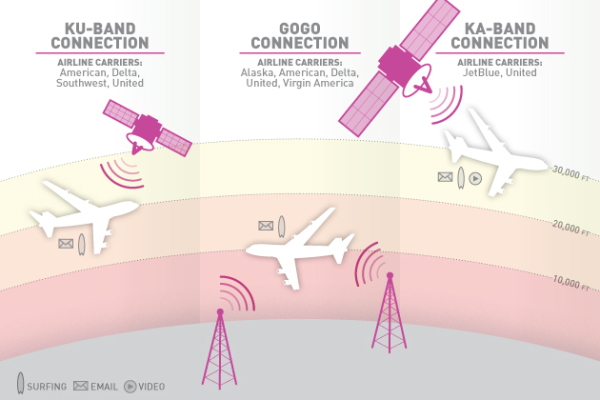 Now that in-flight Wi-Fi is booming, a host of companies are competing to develop this. As well as the service itself, hardware is also being improved to minimize the weight and components required on an aircraft. It's pretty obvious that we can expect in-flight Wi-Fi will become a normal part of flying as the years progress. Just like how IFE systems improved greatly over the last decade, Wi-Fi will form a similar path.